The plan for the weekend was to take a longer ride to one of the islands in the archipelago. Jopik Gården at Hindersön got a great café with awesome waffles. But mother nature had other plans for us. 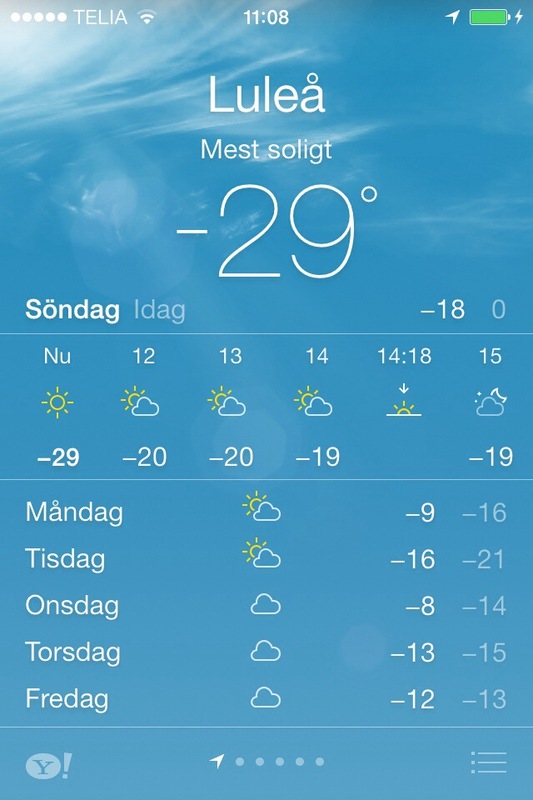 Temperature dropped to around -30°C today and going out on a 40 km ride on the ice in that temperature might be a bit risky. Men and Sven deiced to take a shorter ride to check if the snowmobile tracks were any good. I geared up and met up with Sven at his place. 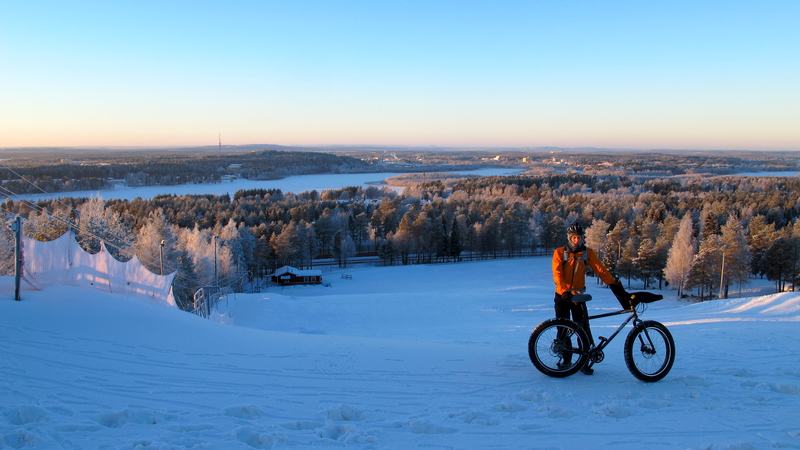 It´s really something else to ride a bike in -30°c. Everything i a bit slower. But if you got the right equipment it amazing. 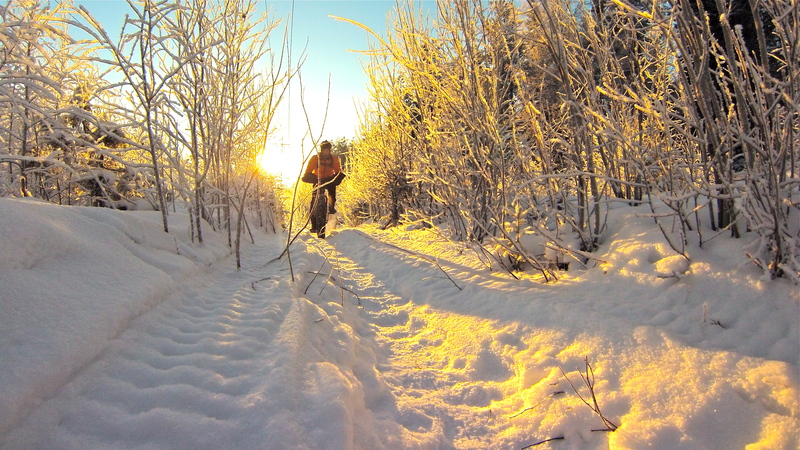 The cold weather had made the trails rock hard and it was a blast to ride them. 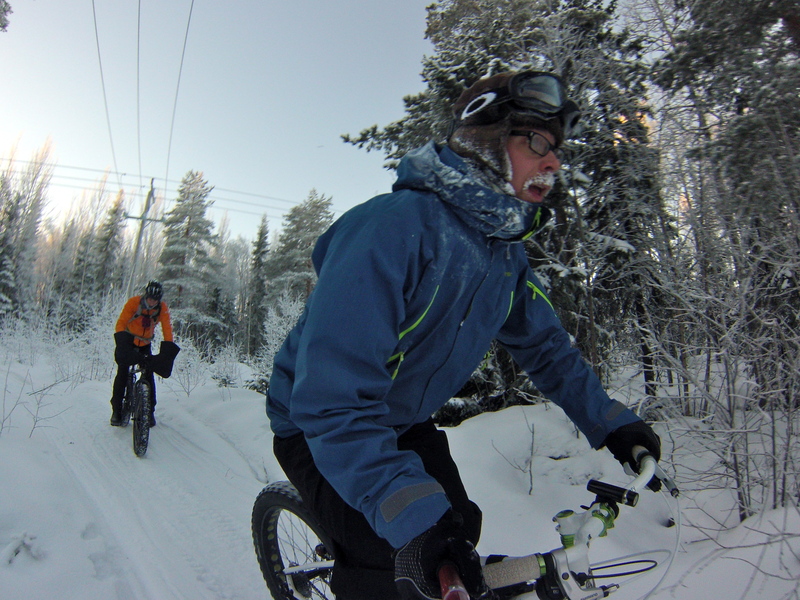 We took a ride along the local trails around 15 kilometers. It is really cool how new trails appears during winter. 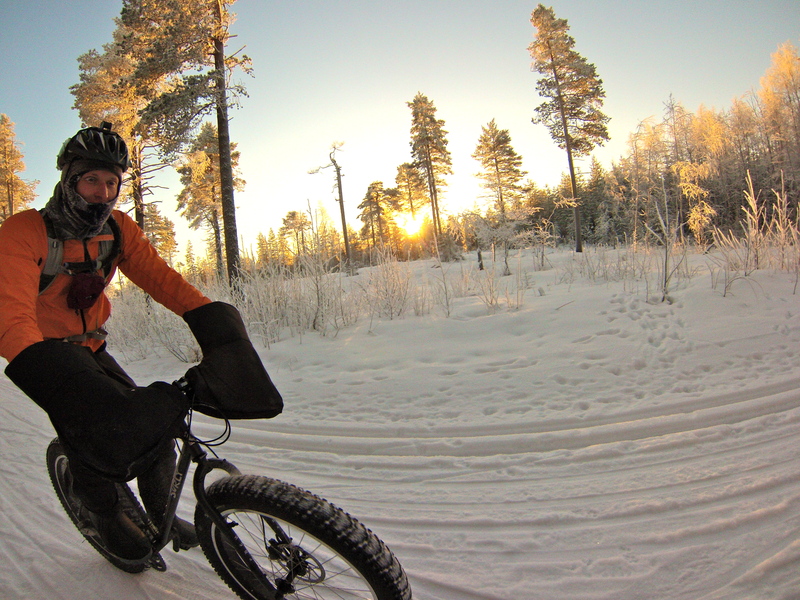 All of a sudden the woods is full of new tracks that we never ridden before. 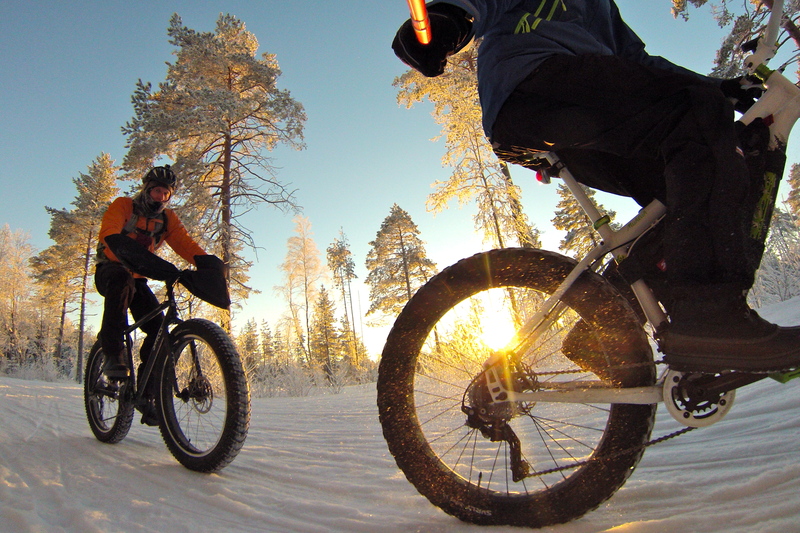 Winter riding is pretty fun and like no other type of cycling. 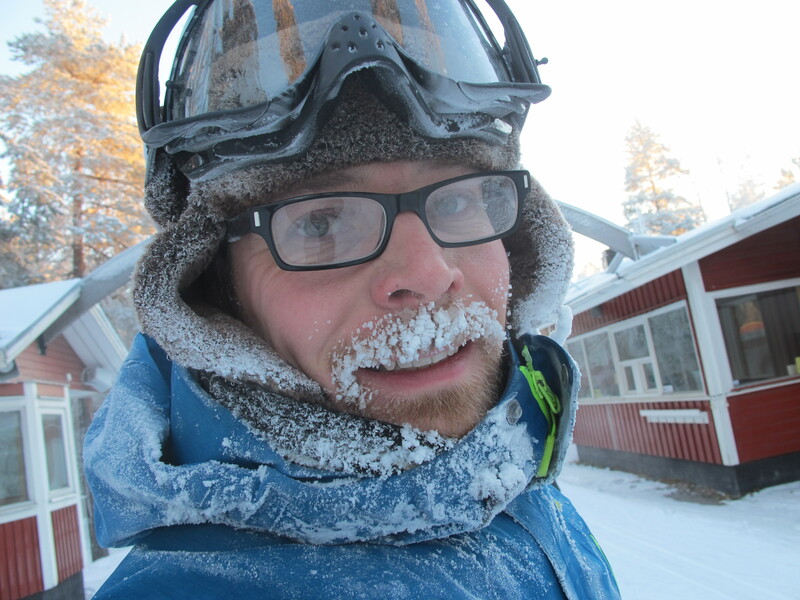 It like something in-between cycling, skiing and walking around with snowshoes. Super cold weather is exotic and quite an experience but more decent temperatures sure is preferred. 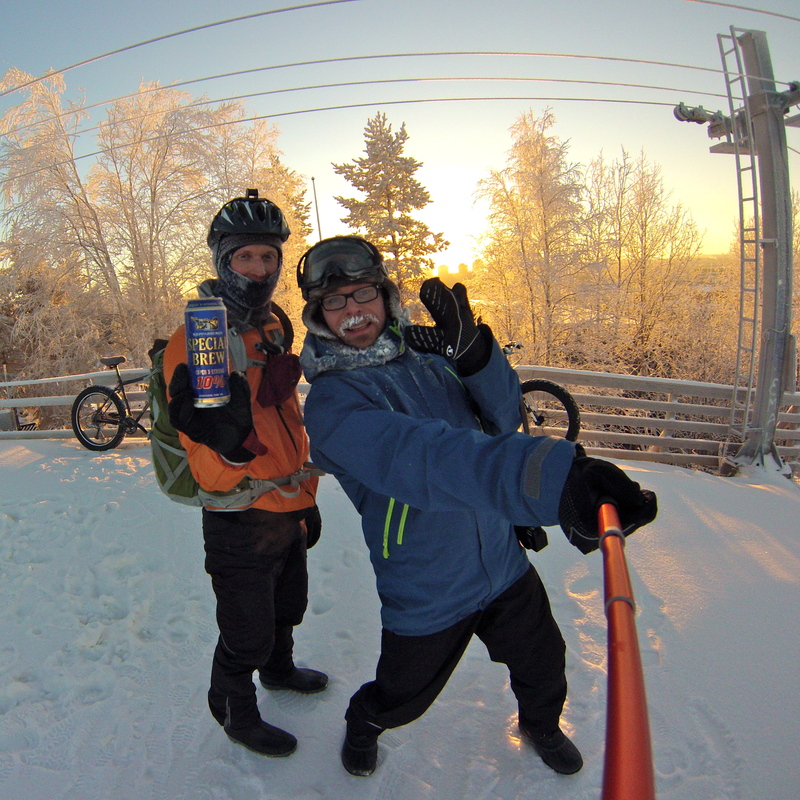 We took a little break at Ormberget, a small hill with great view over Luleå. It was a great ride despite the chilly weather. Soon temperature will drop and the days will get longer. Thanks Ben. It’s an honor to get a comment from you guys. Keep it up! Yeah, no problem. You too! 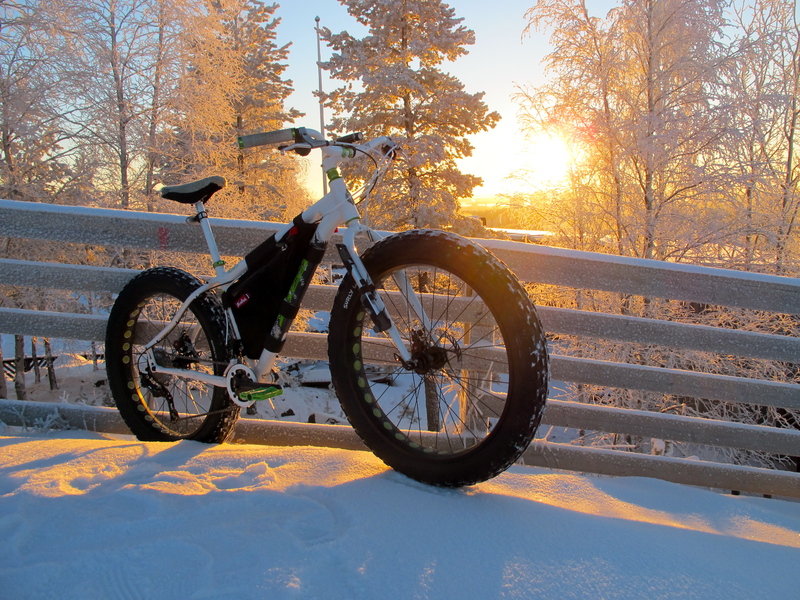 Some beautiful winter cycling pics. Especially the sun rays at certain angles..